The efficient and reliable use of transformers, circuit breakers and various types of electrical equipment depends upon their design and operating conditions which will affect the life and reliability of the equipment. Dielectric fluids are used in various pieces of electrical equipment. This fluid is used to insulate, cool as well maintain a dielectric in high voltage equipment. To satisfy these criteria, dielectric fluids must be maintained in top condition to work as designed. Most dielectric fluids are affected by oxidation and as result the natural decaying process takes place in the fluid. This decay process develops water and even sludge in resulting in a shorter life span and or ultimately failure of the device. Impurities in the oil are usually particles, water, sludge, acidity, gas etc. Globecore company has developed insulating fluid regeneration plant using Fullers earth in order to eliminate above problems. Working in conjunction with a Globecore oil purifier (two separate plants) and working on the principle of reactivated Fuller’s Earth, Globecore oil regeneration plants are highly recommended to maintain, dry, fill and treat your Die electric or transformer oil as required. By removing contaminants from insulating oils, they restore the oils dielectric properties, and at the same time extend the useful life of your electrical equipment including the oil. Globecore oil regeneration plants are designed to work on energised and de energised transformers. 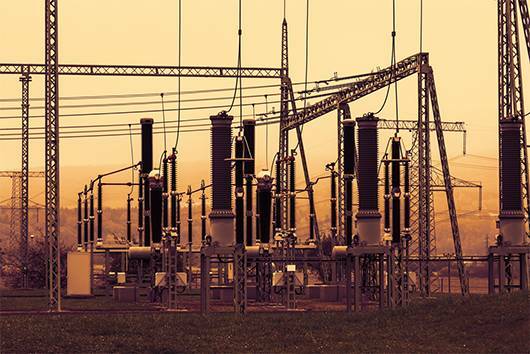 Connection to the transformer is to be done by experienced plant operators or by the client who has been trained and certified to do this operation. Before On line connections are done full consideration must be given to the onsite safety in regards to clearances between the connection valves and energised parts of the transformer. If in doubt in any way in regards to the safety with on line connections, the transformer needs to be de energised before final connections are made. Thereafter the transformer can once again be energised. This method and procedure will generate savings to the customer as the transformer remains energised at al times. Moisture from 50 ppm down to below than 5 ppm – coupled to purifier. By recirculating oil between 65-700C within the transformer, the internal areas of the transformer are cleaned and equilibrium once again is restored in the transformer windings. Further the oil once again becomes a protector of the insulation and as a result the transformer will last longer. This instrument is designed to carry out on-line moisture content measurement, continuously during the oil treatment.. The measured range is from 0 to 100 ppm. This option is used when a client requires the plant to be supplied in a trailer. The plant will be installed in either a single axle or double axle semi trailer depending on size of regeneration plant. Alternatively this option enables to transport the oil regeneration system installed in a container, on the road. The container can stay on the trailer or be unloaded on site as required. The container is also equipped with cooling fans to exhaust warm air from the container.